"Make time for good health and you'll always have enough health for a good time!" - Frank Caruso. 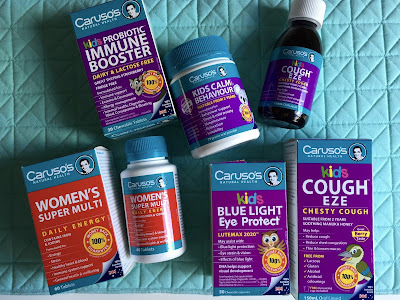 At this year's Kids Business Bloggers Brunch Frank Caruso shared his story with us and how he came to create the successful company we know as Caruso's Natural Health. 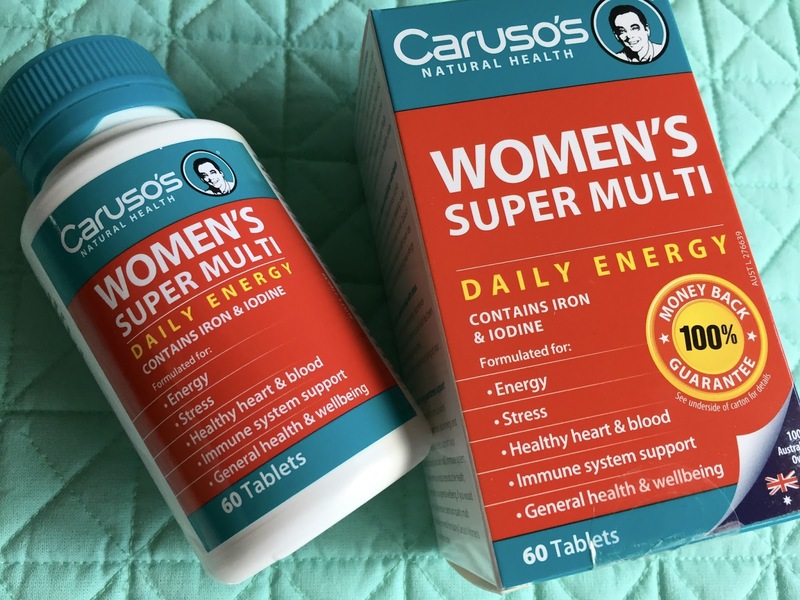 Established in 1982, Caruso's Natural Health is a 100% Australian owned family company, supplying Australian's with a large range of vitamin and herbal supplements. 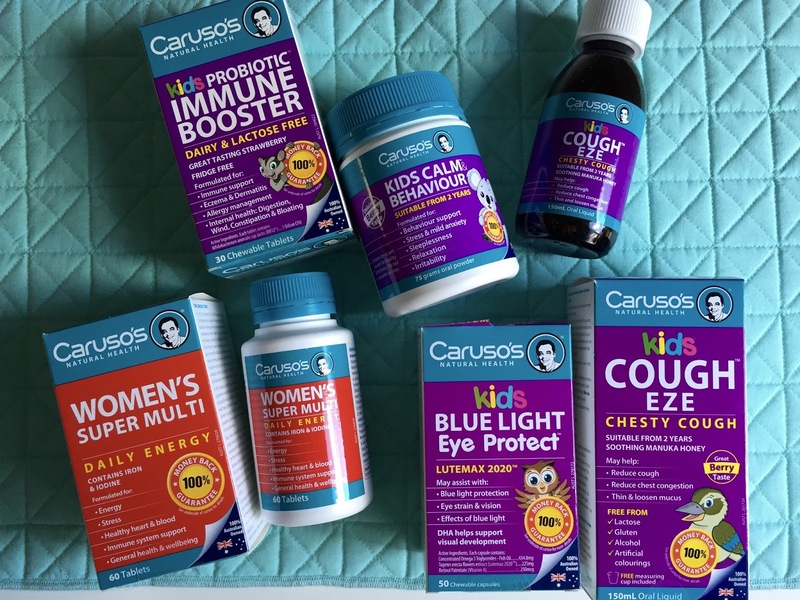 Available in over 3,000 pharmacies and health food stores across Australia and their ethos is simple - To develop products and lifestyle programs to help Australian's live healthier lives. I thoroughly enjoyed Frank's talk at the Bloggers Brunch and felt like he was the kind of person I could listen to for hours and learn a lot from. 1. Those that succeed are ALL IN - meaning they have an idea and they are committed to making it work with everything they have. Having a back-up plan or waiting for the 'right conditions' before one takes that leap of faith will more often than not result in failure. Frank used the great analogy of stepping through a door, closing it and throwing away the key. In his experience, by 'keeping that key' in case things don't go to plan you will never truly commit to an idea and take that risk. 2. I also loved Frank's attitude toward starting new ventures - he said when you come up with a new business idea, a lot of the time someone will have already done it and may be very successful at it. Use this to your advantage by getting in touch with them, call them up & ask questions, learn from them and don't reinvent the wheel for the sake of it. Franks has found that most successful business people are more than happy to share their business experience with those that are willing to listen. I was aware of the Caruso brand but I don't think I had ever purchased any of their products prior to this event. So I was particularly interested to find out they have just created a new Kids range of products. 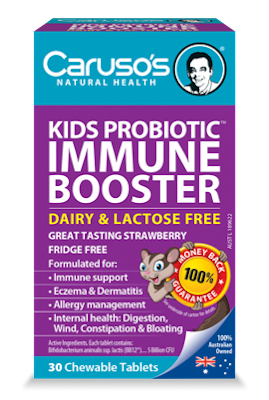 The range includes several products the first of my absolute favourites is the Kids Probiotic Immune Booster which is fridge free and Master W loves the strawberry flavour. Each chewable tablet contains 5 Billion CFU ( Colony Forming Units).This product contains a month's worth (30) of tablets and retails for $19.95. 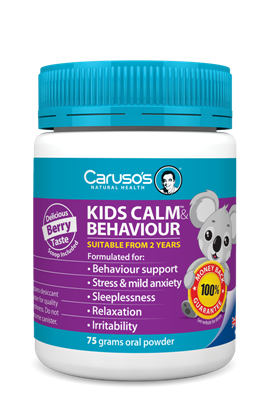 The other product I want to rave about is the Kids Calm and Behaviour. 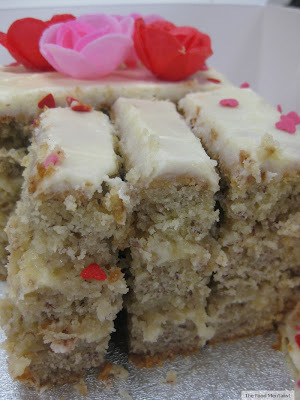 Suitable from 2 years of age I love this product. Master W is a fussy eater, although he is getting better and fussy eaters are said to have lower levels of zinc and magnesium so I like the fact the active ingredients in this product include zinc and magnesium. This product has been formulated for behaviour support, relaxation, irritability, sleeplessness and mild anxiety and stress. This product retails for $29.95. As a parent of a very busy threenager I need all the energy and help I can get when it comes to health support and so this is my new Women's Super Multi. I love the fact that it contains iron and iodine, as I have found I've had to buy separate bottles of vitamins in the past in order to get those extra two included. The bottle contains two months worth of tablets (60) and retails for $28.95. To find out more about Frank Caruso and Caruso Natural Health check out their website.